Local elections will be held in Newcastle upon Tyne on Thursday 2 May 2019. One seat in each of the Council’s 26 wards will be up for election. This includes the Dene and South Gosforth ward that High West Jesmond is part of. Ensure that you are registered to vote by 12 April 2019. Find out more information on the Newcastle City Council website. Find out more details of the mayoral election on the North of Tyne Combined Authority website. To vote in the elections to be held on Thursday 2 May 2019 you must be registered by Friday 12 April 2019. You can now register to vote online in as little as 3 minutes on the GOV.UK website. All you need is your name, address, date of birth and National Insurance number. 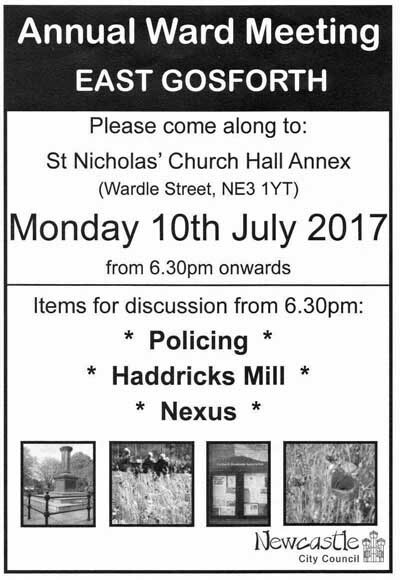 Newcastle City Council has recently delivered leaflets to residents informing them of the East Gosforth Annual Ward meeting which will take place on Monday 10 July 2017 from 18:30 in St Nicholas’ Church Hall Annex, Wardle Street, NE3 1YT. Watch East Gosforth Cllr Dominic Raymont talk about the ward meeting in this short video. Councillors H Gallagher, D Raymont and D Slesenger, teh councillors for East Gosforth ward form the committee. to avoid duplication and promote best practice. 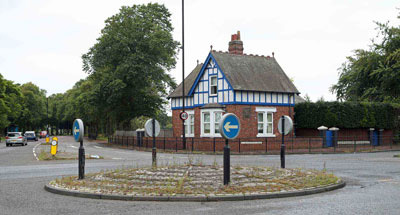 Today residents’ associations in High West Jesmond, Jesmond and Admirals 5 (Matthew Bank) held a meeting and agreed to unite in their complete opposition to the proposed plans put forward by Newcastle City Council for revised road layouts and junctions around Blue House Roundabout and Jesmond Dene Road. Residents, businesses, motorists, cyclists, pedestrians, environmental organisations, local and national road traffic organisations, 99% of all respondents on the council’s own consultation website, all 3 local MP’s and the majority of local ward councillors are all unanimous in their rejection of the proposed plans for Blue House Roundabout/Jesmond Dene Road. The feedback has been of a high quality, constructive and very clear. The council must now listen to this feedback. restart the whole process, engaging in proper, meaningful consultation with local residents, businesses and interest groups to ensure that the needs and wishes of all local stakeholders are properly taken into account before any future proposal is put forward for consideration.